All parents go through periods with their children when the kids just think the folks are stupid, out-of-touch and just generally UNCOOL. The first episode of this well-known phenomenon is usually when the kids first start school. Suddenly they have a teacher who knows everything; the parent is not their only source of information and learning anymore. It’s always a sad day, as a parent, when after that first day of school your kid comes home and promptly kicks you to the curb, you have become irrelevant. The bad part is that this trend continues downhill for many years till the kids are in their tweens and teens when most parents hit rock bottom on the “cool” charts. Let’s start with acronyms. 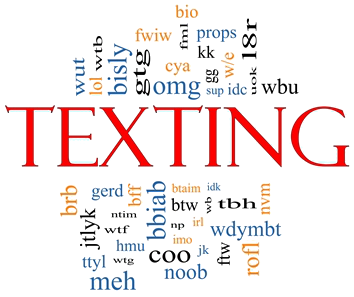 Your kids are probably texting maniacs and thrive on acronyms that amount to a foreign language for you. TTLY, BRB, TMI, ICYMI, TL;DR, NSFW, IDK, IDC and JK, are just a few examples of acronyms they throw around all day that serve to drop your cool factor when you have to ask them to translate for you. Imagine how impressed and surprised they will be when the tables are turned. While sitting at the dinner table with the family you and your SO start a conversation about switching to home solar power and you start throwing down on the acronyms. Parent: I think going solar is a great idea, I was talking to a SSP today about our choices and it looks like we will qualify for a free PV system. By signing up for a PPA and combining our ITC with the SREC’s and FIT we will cut our utility bill in half for the next 25 years. We could also take advantage of the PACE program in this area for an outright purchase and beat the IOU (Investor Owned Utility) at their own game and with a 4 year payoff the ROI beats any other kind of investment available right now! Kid: Huh? What do all those letters mean? Home solar systems have a technological side to them, over the course of a solar photovoltaic system lifespan you will want to monitor the efficiency of your system. If you purchase your system most people do their own monitoring. The programs that monitor your system are often integrated with an overall “smart home” energy system. It always makes the kids feel good when they can show you how to use new technology (remember your 1st smart phone). The trick here is to trick them into thinking you are doing this as a team, don’t let them think you don’t have the slightest idea what is going on. Again, by including them as a home solar energy team member, they can help monitor your new home solar system by using all those mad math skills that are a lil over your head. Figuring DC current to AC current then into kWh is pretty easy for teens but might prove challenging to the average parent; here is one formula for watts to kWh: E(kWh) = P(W) × t(hr) / 1000. Just don’t let them know you are lost. If you approach them in the right way the kids will think you are awesome instead of a total loser. One of the biggest awesome factor boosts the kids will notice is that you quit nagging them about their energy consumption. Electrical power is suddenly almost free so you could care less how many devices they have on all day and night. PC’s, lap-tops, sound systems, even lava lamps don’t phase you anymore. Your kids think you are awesome when nagging is kept to a minimum. We all know that climate change is real and greenhouse gases are a major contributor to the problem. By switching to home solar power you are doing your part to help save the planet for your kids and their kids. Your kids will think you are cool by showing them how to take charge and help with a solution rather than just blindly plugging along.